My first book, Capture the Sunrise, went on sale in November 2005, the same month BET sold its imprint of African-American fiction, mainly romance, to Harlequin Enterprises. I was ecstatic. I was finally a published author and I was writing for my dream publisher. Who doesn’t want to write for Harlequin? For the next seven years, I lived my dream. I wrote stories I loved with characters who looked just like me. They met, fell in love, had some trouble here and there and then married and lived their Happy-Ever-After. For a while, I was happy and then…I started to feel the first pangs of discontent. In the meantime, I was dealing with deaths in the family, students who committed suicide and discovering I not only had Diabetes but Hypertension. My writing didn’t make me happy anymore. I’d lost my spirit and my desire to write romance. I love writing romance, I love the industry…well, some aspects of the industry. I was a black man writing romance and somehow, I felt underappreciated, that because I was a man, I could write a romance, but just not as well as my female counterpart…and then finally, I was dealing with segregation in publishing - the belief that the black romance authors were considered less than their counterparts of other color, that the stories we wrote were stories for people just like us, people of color and that very few romance readers read romance novels with hero/heroines of color. While I worked for a ‘big’ publisher, as a romance author, I didn’t feel big and as a male romance author, I felt even smaller in the scheme of things. It was at that point I didn’t get a renewed contract and discovered that the only category romance line, the line I wrote for, the only line for black authors, was closing. My solution is a simple one. Yes, close our line, but integrate us into the wider Harlequin portfolio. Don’t segregate us, but give us the same opportunities as all the other authors. Treat us with respect and let us know that we matter. Promote the hell out of our books so that readers know that we matter to you. Organizations like RWA have finally started to step it up and make their position about diversity clear. But publishers and organizations alone cannot change the climate. Readers and authors alike must speak out about the need for diversity, must not just give ‘lip service’, but add authors of color to their reading. Years of publisher attitudes to romance with protagonists of color has been transferred to readers. The subtle messages that publishers convey by treating us differently is not lost on potential readers. I will not still my voice! know that I look for fire. Martin Carter - Looking At Your Hands. 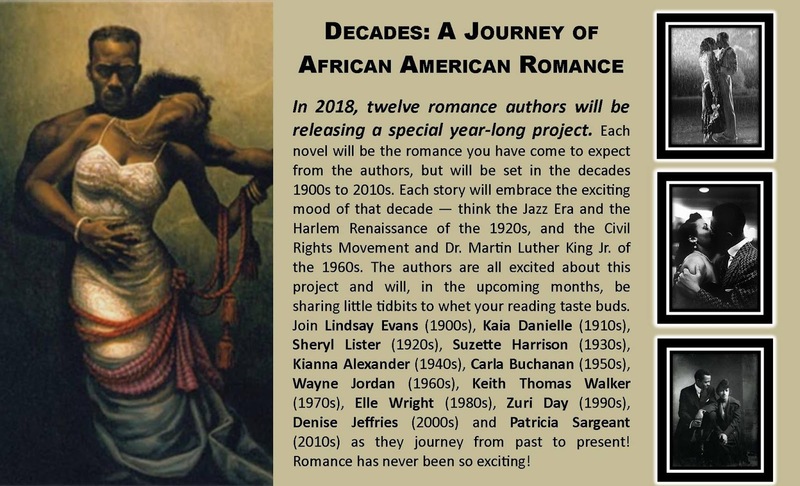 My next release, PROMISE ME A DREAM, is book #7 in a very special twelve book series called: Decades: A Journey of African-American Romance which, while romance, highlights the African-American Experiences in the 20th Century and two decades of the 21st Century. I agree whole-heartedly that diversity in publishing needs to be at the forefront of conversations. In books, we can walk in another's shoes and learn both the wonderful truths in their experiences and the hard (and inconvenient) ones. My favorite book (despite the title) with strong romantic elements is Intermarry, by Rhea Harmsen. I learned so much about people living lives and finding love in a poverty-stricken neighborhood on the South Side of Chicago. 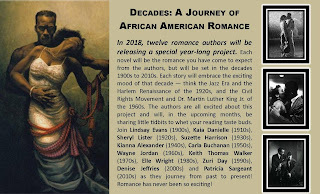 I look forward to reading your series, Decades: A Journey of African-American Romance. I love how you are highlighting African-American history in these books! My personal experience as a multi-cultural writer is that targeted marketing contributed to the issues. A good book is read by everyone regardless of race and ethnicity. This is where publishers failed us. The presumption was that no one else would read our books. They were so wrong. Sarah: Thanks so much for the recommendation. I've checked INTERMARRY on Amazon.com and will definitely add it to my TBR pile. I am so excited about the Decades project. It has been a dream of my for years and I was so excited when I pitched it to several author friends and they agreed to be part of it. What for me is the most interesting thing is learning about the time period I am working on, the 1960s and learning from the other authors. Feel free to join of FB page where there is continuous information about the project. Marcia: I am so with you on that. Publishers have to accept responsibility for the attitude to African-American fiction, whatever the genre. They segregate us and in doing that they suggest that not only are we different, we are not as good as. They market us less, stick us in a corner and do not realise that readers pick their attitude. Thanks for your post, Wayne. It's great authors like you who will lead the way to more diversity in romance--thank you! And you're right that readers and authors must demand more diverse books to get through to publishers. I really enjoyed your blog post, Wayne. The lack of Diversity in the romance genre leaves a lot to be desired. Thanks for sharing your story with us. The Decades project sounds very interesting. I'll be checking out the Facebook page. Good luck with sales! Lynn, thanks so much for dropping by. Kianna is a talented author and I am do happy to have her joining me on this project. I so strongly believe in diversity and embrace authors of all colors. You must tell me what you think of the cover art. Diana, thatnk do much for dropping. I try to embrace all authors and my reading is diverse. I love Nora Roberts and Brenda Jacjdon, Sharon Sala and Beverly Jenkins. It's call diversity. Wayne, So glad you were able to join us here at Romancing The Genres. Sarah and I have been committed to diversity in its many forms since RTG was a glimmer in our eyes. You diversity project sounds intriguing. I was in college in the 1960's and have many memories of the stereo-typical mindset of that time of interracial relationships from a naive white girl's POV. The world will not be healed until we celebrate each individual's gift and I do believe there is a quantum amount of healing that needs to be done. I also believe that romance writers have many gifts to share with the world to assist in manifesting that. Judith, I was born in 1962, thus my reason for wanting to explore and research that time period. My hero, like me, is mixed, and has never been faced with many of the issues that blacks had to face, so his attitude is one of mild indifference until he meets a fiesty immigrant from Barbados who forces him to see that privilege does not always exclude you for reality. Thanks. I love them all. My babies. Wayne -- Have you listened to the Asked and Answered video sessions on HAN, HQN is absolutely committed to increasing diversity in all its remaining lines. Kimani like Love Inspired Historical was closed because its worldwide sales did not meet the cut off. Harlequin Historical (the line I write for) was saved because of its international sales. 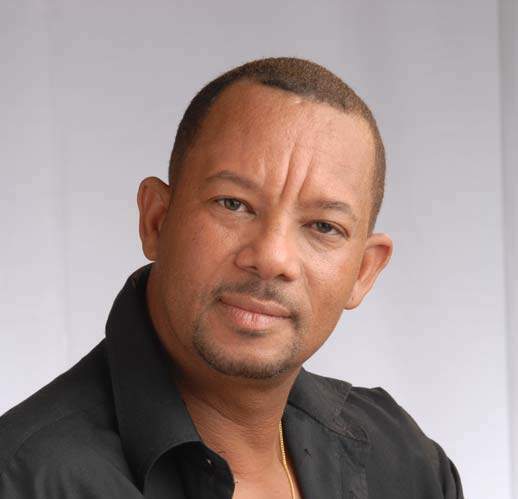 At the moment there are authors of colour writing for various lines, including the largest line Presents (Maya Blake is one of their top selling authors. I am not sure many readers realise the colour of her skin -- they love her for the powerful romances she gives them). One could argue that Kimani allowed for a certain amount of segregation -- and that while it did give opportunity for more black voices to be published, they were confined to one line and that line wasn't picked up internationally. By spreading diversity through the lines, authors have a greater chance of being picked up internationally. In short as far as I am aware, for HQN, it is all about the strength of the story combined with the needs of the line and that goes down to what themes are selling. Let us hope that these wonderful diverse stories will get a bigger international audience and create an appetite for more. As an aside I loved Alyssa Cole's RITA nominated novella about an interracial romance in the 1960's. It made me cry in a good way. I look forward to reading more and really hope that the African American experience does get more exposure in historicals -- a whole other conversation. Thanks for stopping by. While I acknowledge Harlequin seems to be doing something about diversity, unfortunately, most of the authors who are writing romances with black main characters are not black. Maya Blake write for Presents, but her characters are mostly white. I do know of one book she has which has a black heroine on the cover. Harlequin has a long way to go when it comes to diversity. I wrote for Harlequin and I know one of the beefs, the authors in the Kimani line have is the lack of proper marketing which in itself is very segregated. Very few of our books are marketed out side of the US/AUS/UK, but that's another story. However, I must acknowledge the increase of diverse protagonists. It's great. Haven't seen you in two or three years. We always have a bit of a chat when we meet. I plan to be in Denver next year. As someone who writes Vikings (culturally v different to my upbringing in middle class suburbia SF Bay Area) I do not believe a person's skin colour, creed, nationality or sexual orientation should affect their choice of characters they create or indeed the themes they choose for their books. Historicals by their v definition are written about a time the author has not directly experienced. It is up to the author to create a believable world and make their characters seem authentic. Historical novels allow the author a chance to hold a dark mirror up to contemporary life and explore themes in a way that might be impossible in a contemporary novel. With some of the white authors who have had black main characters with HQN, I do believe they have close family (in one case a husband) who are either mixed race or black. It is the power of the story in the end which is important and that comes in part from world creation. Because of the whole BBC Roman kerfuffle where some tried to say there were no black Romans in Britain (when the historical record shows there were), I do want to ensure my own writing tries to reflect a bit more diversity in the background (if appropriate -- unfortunately with the Viking period, you have the North African caliphate and there is no real interaction beyond a few travelers-- some of the Vikings' more gruesome habits were recorded by a North African). It is v easy to fall into the Hollywood trap as the extras (if you will) being a sea of sameness. Once Britain has an empire that spans the globe, you do get a diverse population in London, particularly in the dock areas etc. Robert Louis Stevenson acknowledges this in Treasure Island (Long John Silver's wife for example) but it is lost in today's historicals. I do believe the segregation which exists in marketing in publishing is a major problem which needs to be overcome. All romances should be shelved together for a starter. HQN paying more than lip service to diversity would also be good. But ultimately it is about getting the international readership getting hooked and buying these themes. I also have to wonder if the Kimani story lines were too American centric for an international market. France for example does have a significant black population as a legacy of their colonial past. Why didn't those stories resonate? Westerns are another theme (if you will) which doesn't travel internationally. Inspirationals again also struggle. Anyway if I make Denver, we will have to have a natter as I always enjoy talking to you. I remember our last chat in NYC as being one of the more pleasant parts of a fraught day. It has been far too long since I attended a conference. I agree with everything you said...and yes, I really want to make Denver. I haven't been in the last 3 years (or 4). My last time was in Atlanta..